The period 1820-1950, from Lamartine to Char, is a particularly rich field for students and lovers of poetry. 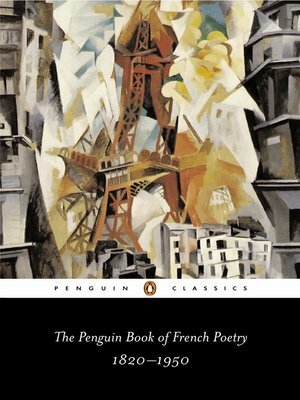 While this anthology contains, of course, generous selections from the established giants - Baudelaire, Rimbaud, Mallarmé, Valéry, Apollinaire, Michaux - it also draws attention to interesting 'minor' poets, such as Claudel or Cendrars, whose writing has been vital to the evolution of poetry in France. William Rees gives us an introduction to each poet, his or her life, affinities and aesthetics, and the significant literary movements - Romanticism, the Parnassian Movement, Symbolism, Cubism, Surrealism and 'Négritude' - are signposted and discussed. His fresh and beautiful prose translations will re-open many half-forgotten doors, and stimulate new enthusiasms.